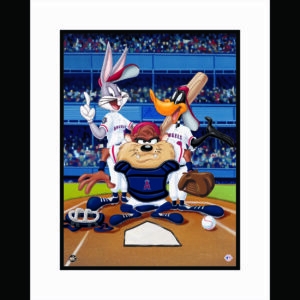 This 16×20 limited edition framed giclee features Looney Tunes characters Bugs Bunny, Taz and Daffy Duck at the plate as Cleveland Indians players. Licensed. COA included. Edition Size 500.